Poundland has caused us some great concern here at Unlock the Law over it's proposals to buy over a chain of 99p stores. 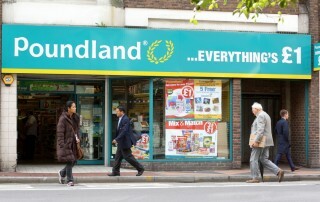 Over time, 251 99p Stores and Family Bargains stores will be converted into Poundland stores. The merger is subject to Competition Authority approval and it must decide whether this will distort competition in the relevant market. Over time 251 99p Stores and Family Bargains stores will be converted into Poundland stores. What is the relevant market for such random bargain emporiums? "Pound Shops" you say? Well one of them is a 99p shop so that's out the window. What about bargain stores? The one round the corner from us is selling solitary mars bars for a pound - that's far from a bargain. Set price stores? I mean I've never heard of Tenpoundland but arguably that wouldn't be quite the same calibre of item you would get in the humble 99p store. This question is important for the Competition and Markets Authority as this is the backdrop against which they gauge whether competition will be distorted. If Poundland were to buy over the chain of 99p stores it could end up having a dominant position or monopoly over the market. Can Poundland charge a pound for items worth only 99p? Even if they keep prices the same, surely all the stock that was previously sold in the 99p Store (£7.5 million worth has been acquired by Poundland) will now cost a pound. Will the people stand for this blatant over pricing? We know its only worth 99p Poundland, you can't fool us. Can they legally even do that? Plain and simply the answer is yes. We all buy milk from the slightly more expensive local shop when we know its cheaper in Tesco - but its slightly more inconvenient to get there and so worth spending the extra 12p. The problem in competition terms is where there is no alternative and the consumer doesn't really have a choice of where to buy products in a certain market from. This is one of the issues the CMA will need to consider. Conversely, can it be called Poundland if it sells items for 99p? Whilst it seems unlikely anyone would complain about saving money, could it be deemed false advertising for Poundland to sell items for 99p? The answer is no, in fact Poundland even sometimes has 'sale' items with even greater bargains. Such bargains that they even cause riots. 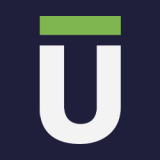 While you're at it why not subscribe to our YouTube Channel or follow us on Twitter? In for a penny, in for a pound.